Dickie Marsh Thompson, age 64 of Evergreen passed away peacefully at his residence surrounded by family on Saturday, August 4, 2018. Final rites will be held 11:00 a.m. Tuesday, August 7, 2018 at Evergreen Baptist Church with Pastor Tracey Mull officiating. Interment will follow in the Evergreen Baptist Church Cemetery. He was the son of the late William and Gladys Ann Kissam Thompson and was preceded in death by a son, Ronnie Marsh Thompson. Dickie is survived by his loving wife and caregiver of 45 years Rhonda Strickland Thompson, of the home. Sons: Michael Warren Andrews and wife, Crystal of Lake Waccamaw. Richard “Clint” Thompson of Galivants Ferry, SC. Joshua Matthew Thompson and wife, Alicia and Dickie “Aaron” Thompson and wife, Hannah all of Evergreen. Grandchildren: Julia “Brooke” Andrews, Johnathan “Rylee” Thompson, Alysa Jane Thompson, Katelyn Olivia Thompson, Hailey Grace Thompson, Joshua Evan Thompson, and Anna Grace Thompson. He is survived by his siblings: Susie Thompson Brown, Anne Thompson Rogers, Jean Thompson and husband, Jack. Tammy T. Dorsey-Holcomb and husband, Van. Julian A. Thompson and wife Amy, and Terry W. Thompson and wife, Teresa all of Evergreen; and George W. Thompson and wife, Carol of Fairbanks, Alaska and many wonderful nieces and nephews, great nieces and nephews. Dickie worked in the asphalt and paving industry for over 45 years. His wisdom to the business has been passed along to many over the years, especially his sons Josh and Aaron. He not only enjoyed paving roads, Dickie loved to tells stories of his teenage back road racing days with his children and grandchildren. His quick wit and humor allowed Dickie to enjoy spending time with his family in the backyard of his home where he is well remembered for his goldfish pond that his grandchildren, nieces, nephews and friends would often admire. His grandchildren were his pride and joy and throughout his life he was affectionately loved through his titles of “Grandpa” and “Uncle Dickie”. A husband, father, brother, and friend to those who knew him, left an impact that will never be forgotten. The family will receive friends 6-8 p.m. Monday at Worthington Funeral Home in Chadbourn. The family would like to thank everyone for all of their love, support, prayers and any act of kindness shown to them during the last 5 years of Dickie’s sickness. We would also like to thank Lower Cape Fear Hospice of Whiteville, NC for their compassionate care and support during this time. 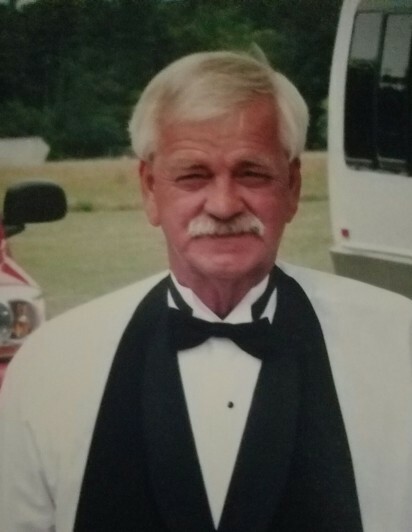 In lieu of flowers, the family asks that donations may be made in Dickie’s memory to: The American Kidney Foundation: American Kidney Fund 11921 Rockville Pike, Suite 300 Rockville, MD 20852 or Evergreen Baptist Church 156 Evergreen Baptist Rd, Evergreen, NC 28438. We would like to thank and honor Courtney’s family for giving us the gift of another chance at life by donating her heart. In honor of Dickie’s life, please register to become an organ donor and give a family the privilege of the same precious gift we have received during the last four years. Worthington Funeral Home of Chadbourn, NC is serving the family.